The City of Norfolk is donating the site of the former Greyhound bus station at the corner of Brambleton and Monticello avenues to make way for an iconic building in the heart of the NEON District, Norfolk’s new destination for arts and culture. The 47,000-square-foot TCC Perry Center for Visual & Culinary Arts and Hospitality Management will transform the local economy by equipping students with critical skills demanded by major local industries and expanding our world-class visual arts program, a keystone of Hampton Roads’ vibrant local arts community. TCC’s decision to build its Norfolk Campus on Granby Street helped fundamentally transform downtown more than 20 years ago. 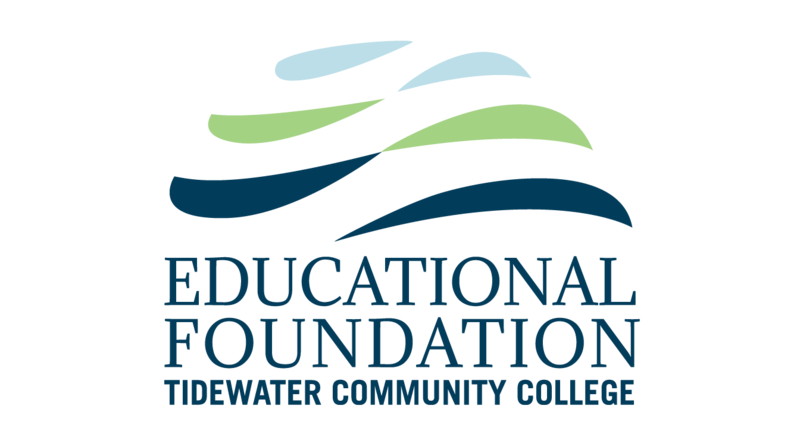 Now TCC is once again poised to drive educational and economic opportunities — and build a better community. The Perry Center will allow the college to house a student-run events space, act as an incubator for start-up culinary businesses to rent kitchen space, offer open-enrollment culinary courses and host local and national culinary competitions. Additional programs are planned in baking and pastry and food science/dietetics. TCC’s visual arts program will bring glassblowing, ceramics, studio arts and graphic design to the heart of the NEON District, surrounded by the TCC Perry Glass Wheel Center, Chrysler Museum, and Harrison Opera House. As with any transformative project, we can’t do this alone. To complete this program, we need the generous support of individuals and organizations interested in helping drive our region’s economy. Patricia and Douglas Perry are the lead donors for the initiative. As part of TCC’s project, they have agreed to donate their Glass Wheel Studio to the college, which will house our public gallery and classes in drawing and painting. 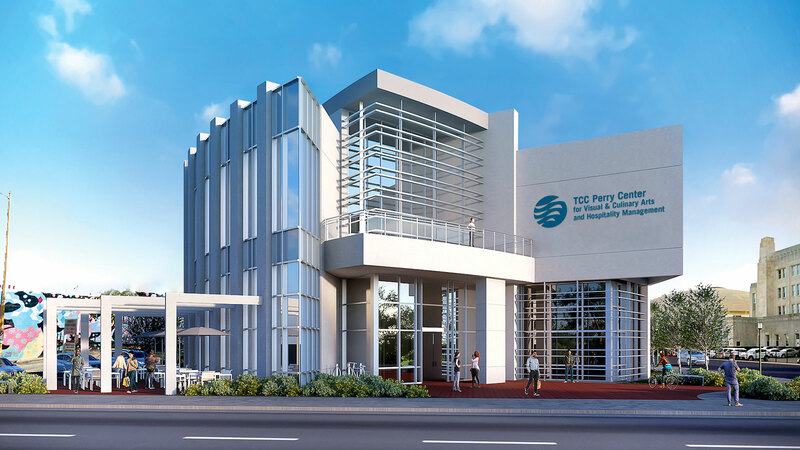 The TCC Pat and Doug Perry Glass Wheel Arts Center, already available for special events, will open full-time this summer.